Samples could be processed either in open tube, with a throughput of 45 tests per hour, or closed tube modes, up to 60 tests per hour. The compact design of the HA3 hematology analyzer has a low space requirement. 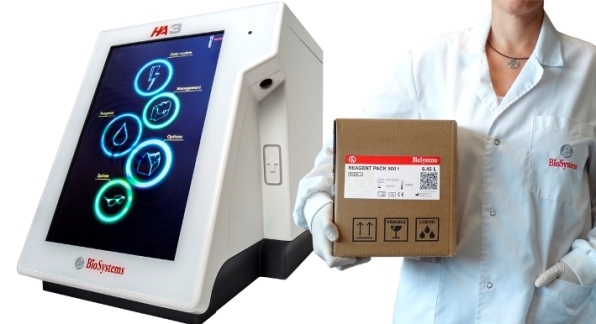 Together with the compact design of the reagent pack, the Hematology system stablishes a new standard in blood count analysis providing remarkable laboratory savings in space, time and operating costs. This website offers all the references of products and all the necessary and relevant information related to this new line. We are convinced this new system will satisfy the needs of our customers.